Life has been hard for the Dodoïte (pronounced: Dodo ïte), especially in Vancouver. He doesn’t like Vancouver. He’s been attacked by ‘vicious trees’ that have been attacking him while he tries to pee. He’s been attacked by his own tail. He’s been attacked by airplanes… He’s afraid of his own shadow, literally and this is not a figure of speech. Vancouver, BC, doesn’t get much snow, but this year we won the jackpot with 66 days of snow on the ground in the city. 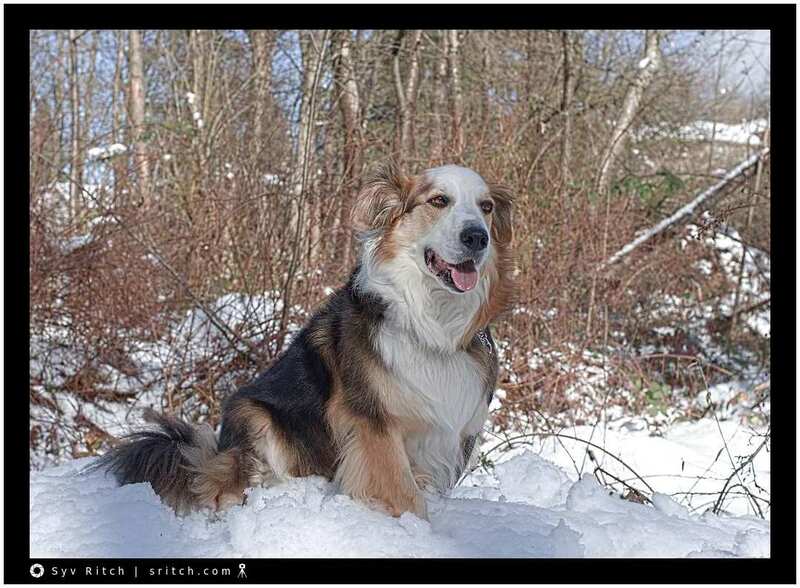 My dog likes the snow and the forest. He becomes a ‘real dog’, he starts to sniff around, he pees, he sniffs some more, then mark another place. The snow must remind him of where he grew up in the mountains outside of Quesnel, BC. And on top of that, I’m terrorizing him with my camera. BTW, he needed a good clip, but I wanted to wait for the end of March when the cold weather was over.